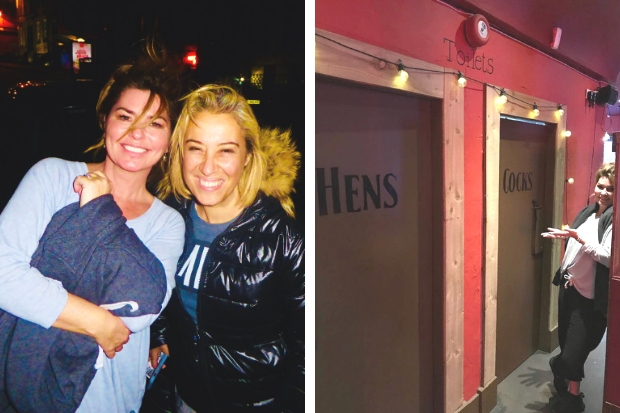 SHANIA TWAIN might have had dinner at Buck’s chicken restaurant but she admitted to me that she didn’t eat any birds on the night - because she’s a vegetarian. Shania checked into her City Centre hotel around 7pm on Monday along with her five guitars and crew ahead of their two-night run at the SSE Hydrro. She had snuck through a side door at her hotel and I actually thought initially she’d gone to bed – maybe 'cause she was still on transatlantic time. But then, a little tipster told me she’d gone for some dinner at Buck’s Bar and was still there. I have it on good authority that the much impressed Shania enjoyed vegan option The Umami Tsunami – crispy tofu with a miso mushroom sauce, and salad in honey lime dressing. The singer also drank a couple glasses of Sauvignon Blanc and her pals enjoyed some pints of Drygate Gladeye IPA each. A spokesperson for the bar said later: “Funny thing is that she was served by our Canadian waitress, Sadie.